News > Rainbow Magic Is Coming To MIPCOM 2016! Rainbow Magic Is Coming To MIPCOM 2016! 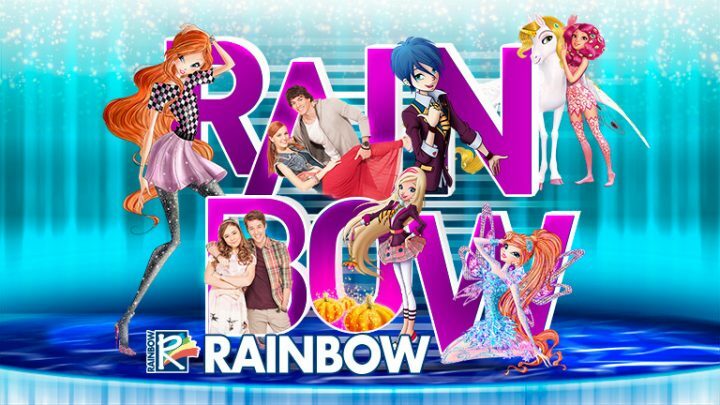 Rainbow – Europe’s leading animation studio and one of the world’s biggest licensors – is bringing magic to MIPCOM 2016 (R7 p6oksll.H2) with three amazing new properties: Regal Academy, Maggie & Bianca: Fashion Friends, and World of Winx – a new original series from global smash-hit Winx Club. Regal Academy takes traditional fairy tales and gives them a fresh, modern and hugely entertaining makeover! This hilarious new animation series has been created by Iginio Straffi – the creator of Winx Club – and focuses on Rose Cinderella – a normal girl whose life is turned upside down when she finds herself in the world of Fairy Tales. There she discovers that Cinderella is… her granny! Rose is enrolled at the fabled Regal Academy where her fellow students include Hawk SnowWhite, Travis Beast, Joy LeFrog, Astoria Rapunzel and LingLing Iron Fan, all of whom belong to the school’s founding families. This sparkling new series features an irresistible mixture of comedy, music and exciting new animation techniques. Maggie & Bianca: Fashion Friends is Rainbow’s first ever full live-action production and promises to delight audiences around the world with a tale of cultures coming together at the Milan Fashion Academy. The show tells the story of Maggie – an ordinary American girl with a dream of becoming the world’s greatest fashion designer. She gets her chance on her 16th birthday, after winning a scholarship to the Milan Fashion Academy. There she meets self-proclaimed Italian ‘princess’ Bianca, and together they make friends with other students, who all share their passion for fashion and music. The show follows their friendships, competitions, dreams and challenges – as well as the discovery of secrets that change their lives forever! In World of Winx, the famous fairy friends visit Earth as scouts for talent show WOW! It’s their task to find gifted children for the show, but they soon uncover the villainous activities of the Talent Thief – a mysterious villain who is capturing these exceptional kids! The Winx must go undercover and hide their fairy identities – often with hilarious consequences – to outfox the Talent Thief, find his secret headquarters and protect the children of Earth.